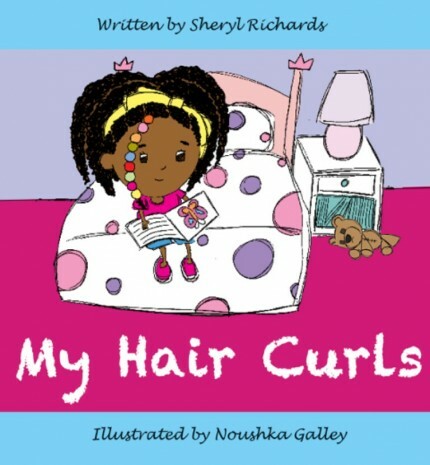 My Hair Curls is a colourful, vibrant, and interactive picture book about a girl named Angeline expressing her love for her natural curly hair. mother, father, and her little brother, George. This pattern continues as she introduces her friends Tommy and Charlotte, who each have different types of hair. My Hair Curls promotes and celebrates diversity. It allows readers aged 1+ to develop positive self-awareness through reflective questions that complement the playful nature of the story.